News comes five months after D.C. police raided two stores. Capitol Hemp's two stores will close Aug. 1. 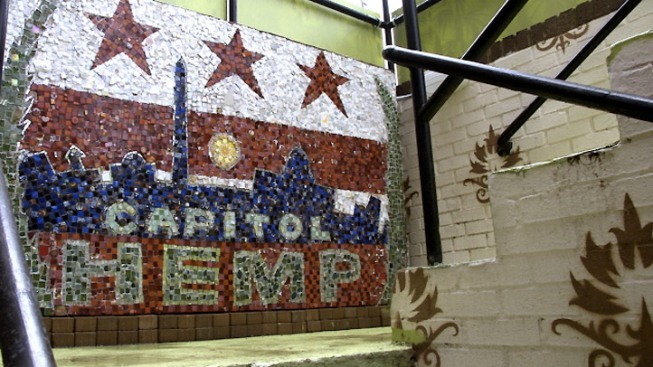 Five months after D.C. police raids on two Capitol Hemp stores, the business has announced it will close both locations. The stores currently sell hemp clothing, soaps, lotions, art and accessories, but during raids in October 2011, six employees and one customer were arrested on drug paraphernalia charges, police said. Three of the employees were also charged with drug possession with intent to distribute. Police confiscated $300,000 worth of inventory, including computers, cash registers, water pipes and vaporizers. Although hemp is often associated with marijuana, it's actually a variant of the plant that contains much smaller amounts of THC than the illegal drug. Hemp can be used in food products, as a natural fiber for clothing and rope, and as a building material. 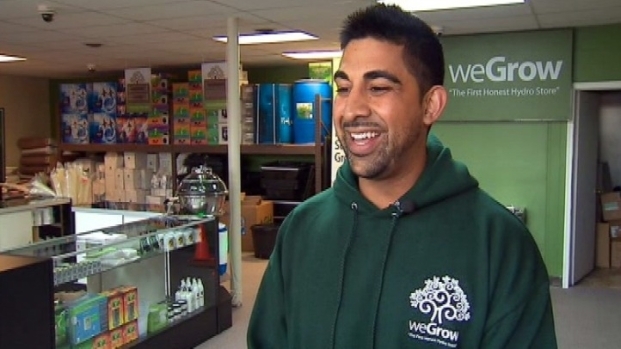 WeGrow, "the first honest hydrophonic store," is opening in Northeast to supply medical marijuana growers with equipment and advice. However, the warrant (viewable on DCist) for the October raids said that the store's hemp neon sign was said to represent marijuana, and noted that the store offered "publications and videos on the subjects of organic farming, cannabis policy, civil liberties and books written to educate people on how to protect their constitutional rights during police encounters," the store said in an email Tuesday. A deferred prosecution agreement, stemming from the raids, requires that both stores close by Aug. 1, 2012. "The decision to close the doors of Capitol Hemp is not an easy one but it's the best option of the dreadful ones available," co-owner Alan Amsterdam said in the store's Tuesday email. "I’m proud of our team’s professionalism in how they handled themselves since we were raided last October." Amsterdam's co-owner Adam Eidinger is a well-known local activist who advocates for medical marijuana. He said last fall the raids were unjust and politically motivated. "I’m deeply saddened by the tough decision we made to close Capitol Hemp," Eidinger in the email. "This is... a sign that the nation's drug laws are victimizing law-abiding businesses without good reason." Meanwhile, the District continues its long journey toward medical marijuana, with six companies approved to cultivate the substance in the District. A growers' supply store opened March 30 in Northeast.